Out in the vineyard harvest is in full swing and the white varieties are showing great promise as the deliveries of fruit to the wineries continues into the early morning hours. Crop yields are lower than previous vintages as a result of cold and wet weather at flowering followed by some very cold night time temperatures post flowering. These cold night time temperatures may occur subsequent to bright sunny days and this disrupts fertilisation/cell division and therefore berry formation. It is with interest remembering the early morning frost on my Ute in mid November and what we see now with disrupted yields.Prior to harvest we witness many bunches with variable ripeness and berry development and this needs to be taken into account with harvest coordination and delivery to the winery. We need to minimise the risk of taking in unripe fruit and the outcome this would have on reduced wine quality. Recent warm/windy weather and the smaller yields have resulted in accelerated ripening and therefore an earlier vintage than what could have been historically expected. Our job in determining the optimum harvest time relies on our palates and knowledge of ripe fruit characters, we call this berry sensory analysis, it is such an important skill in determining wine quality. Yet with all the variability within ripeness, yield and weather out in the vineyard; we still have exceptional quality fruit fermenting into flavoursome and well balanced wines at the winery, such is the delicate and dedicated viticultural and winemaking balances that we understand and are fortunate to enjoy in the Margaret River wine region. As we travel around Margaret River we can see growers applying their bird nets to counter the assault of the hungry silvereye birds that ravage berries and cause havoc to ripening fruit. The flowering of the native Marri trees (E. Calophylla) has been slow and much less abundant to date and looking up into the trees indicates little potential for flowering buds. Some areas of vineyards have pockets of trees that are progressively flowering and the birds gather and feed on nectar in preference to the grapes. The nectar from Marri blossom is the preferred food/energy source for the silvereye, while there is blossom the pressure on vineyard people to deploy nets is reduced. An interesting fact is that silvereyes that only have grapes as food find it difficult to survive as they can’t replace the energy used in seeking out and eating grapes and will loose condition. Grapes are way down the list as a food preference for silvereyes and they are desperately hungry when feeding on grapes. Simply, the biologic “engineering” of the silvereye only allows the beak to penetrate the skin of the grape and then by extracting the beak and then licking, the silvereye consumes a small amount of sweet liquid, the sum of which generally doesn’t equal the amount of energy expended in flying and other feeding activities. The major issue with silvereyes is that the damage done by piercing the berry results with infection by moulds and bacteria that spoils the grapes for winemaking. 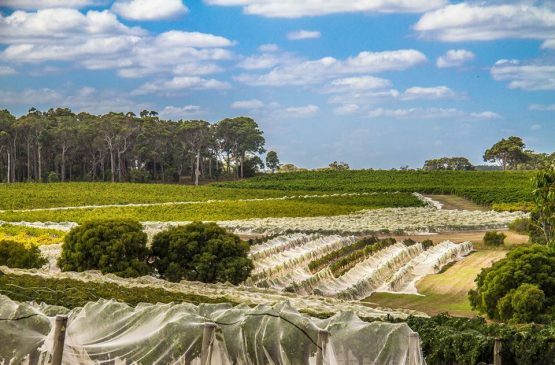 The best protection is placing netting over the vines and this has become an annual event in early February, the result is less angst and a better night’s sleep for growers and viticulturists once the nets are on. The red varieties will be next to be harvested and we expect yields will be lower but the quality should be exceptional. We can see bunches are quite loose and this results in much more even ripening as the cool temperatures within the bunch (microclimate) associated with Evapotranspiration is replaced by warming ambient temperature moved in with wind…. its like a fan forced oven that creates more even temperature within. 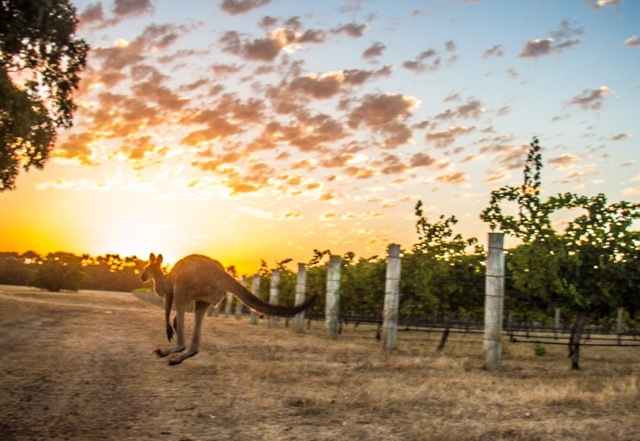 The topography and wind is an important element within the quality of wines produced in Margaret River. It is temperature that ripens fruit and at present the windy and warm days experienced is very conducive to ripening our grapes. Sampling of red varieties has commenced and my time has been dedicated to checking and tasting ripening Cabernet Sauvignon and I’m excited and optimistic! Already the berries indicate intensifying colour, flavour and aroma that are required for premium wine production. The seeds are becoming crunchy and woody with the onset of lignification and therefore tannins are softening and less aggressive at this stage of ripeness. With a big red smile I’m pleased to report that 2015 vintage will not be huge in tonnage but all the indications are pointing to another great Margaret River wine affair and the promise of distinguished wines that lovers will yearn for and share with friends. 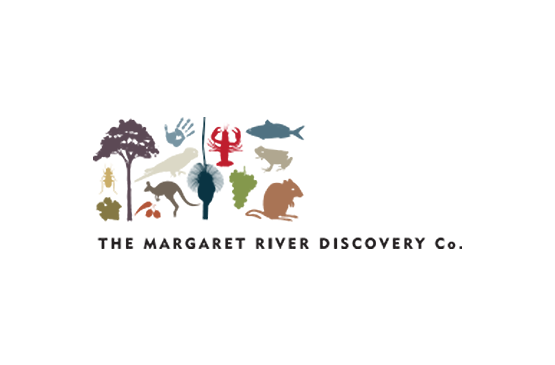 Contributed by Bruce Pearce on behalf of the Margaret River Wine Industry Association.